Following the success of the first two competitions in 2014 and 2016, BBC Young Jazz Musician returns in 2018. For the first time, the Final of BBC Young Jazz Musician will be hosted by the EFG London Jazz Festival 2018, as part of a new relationship that will support the competition’s aim of showcasing the most talented young jazz performers to audiences across the UK. 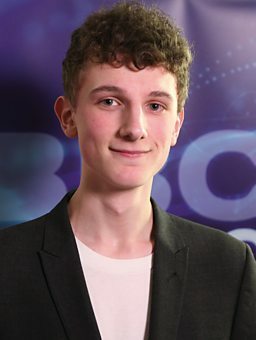 The BBC Young Jazz Musician Final will be held at Southbank Centre’s Queen Elizabeth Hall on Saturday 24 November, and broadcast on BBC Four. Entries for BBC Young Jazz Musician are now closed. Since the 2016 final, Alexandra has performed all over the country. “Having the BBC title opens up many doors!” She’s played in various bands including The Alexandra Ridout Quintet, NYJO, Clark Tracey’s Hexad and his new Quintet. Alexandra has had her music played on various Radio 3 shows and on Jazz FM and was the featured soloist on a broadcast throughout Europe at the end of 2016. She has twice been the runner up in the British Jazz Awards ‘Rising Star’ category and Jazzwise Magazine named her as someone to look out for in 2018 – “Trumpeter Alexandra Ridout was an outstanding winner of the BBC Young Musician Jazz Award of 2016 and just keeps on growing as an artist.” She began studying at the Royal Academy of Music in September 2017. Alexandra will return to BBC Young Jazz Musician in 2018 to perform at the Final on 24th November. Since the 2014 Final, Alexander has continued to pursue jazz and electronic music, playing, producing and arranging. A highlight was working in the studio with Nile Rodgers and Rudemintal, and he’s played at jazz festivals and other incredible venues including the Royal Albert Hall. Alexander was invited to play at this year’s Last Night of the Proms concert in Swansea with the BBC National Orchestra of Wales. He has just moved to London to continue his jazz studies at The Royal Academy of Music.